On the eve of the General Election, David Cameron vowed any future Conservative government would not rush into fracking for shale gas. The Tory leader said he wanted to reassure communities on the Fylde coast there will be “no dash into technology without the safeguards in place”. Mr Cameron visited the Storey Housing Development in Lancaster with Lancaster and Fleetwood candidate Eric Ollerenshaw yesterday, where he discussed the future of the gas industry. He said: “What I would say is recovering unconventional gas will only go ahead with stringent environmental safeguards. Energy firm Cuadrilla wants to drill and frack for gas at two sites in rural Fylde – at Rosecare and Little Plumpton. Despite Mr Cameron’s claims over safety and “no dash”, Barbara Richardson of Roseacre Awareness Group, said: “I think he is still keen to go ahead with it (fracking) despite growing opposition. “We are not fully convinced that whatever regulations they put in place would be adequate. 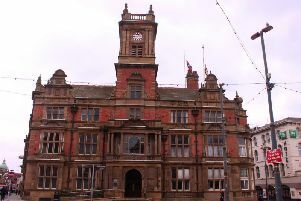 A decision on Cuadrilla’s Fylde coast applications has been delayed twice by planners at Lancashire County Council. It has now been put back to June.